Welcome, my stamping friend, to this week’s sketch challenge with the Paper Craft Crew! I decided to change up the middle shape from a circle to a diamond! I started by stamping the Birthday Blooms image onto a piece of Whisper White cardstock in Memento Black Ink. To colour the flower, I used my Clear Wink of Stella pen and Watermelon Wonder re-inker – don’t you just love the glimmer on the flowers?! I decided to keep the focus on the flowers, so on the leaves I just used my Blender Pens and ink pads in Old Olive and Pear Pizzazz. Once finished colouring, I place my retiring Squares Framelit around the flower – which is when I decided I wanted a diamond shape, instead of a square – and die cut it, and the Watermelon Wonder panel behind it, with the Big Shot. I stamped the sentiment from the Flower Patch stamp set in White Craft Ink, and heat embossed it with White Embossing Powder. It was a bit difficult to read when I layered it on top of the card, so I decided to add a strip of Watermelon Wonder cardstock behind it. I then put the card together; a Watermelon Wonder cardstock base, then a panel of the retired SAB Botanical Gardens Designer Vellum. On top of that is a strip of Birthday Bouquet DSP, and then my stacked, stamped image. 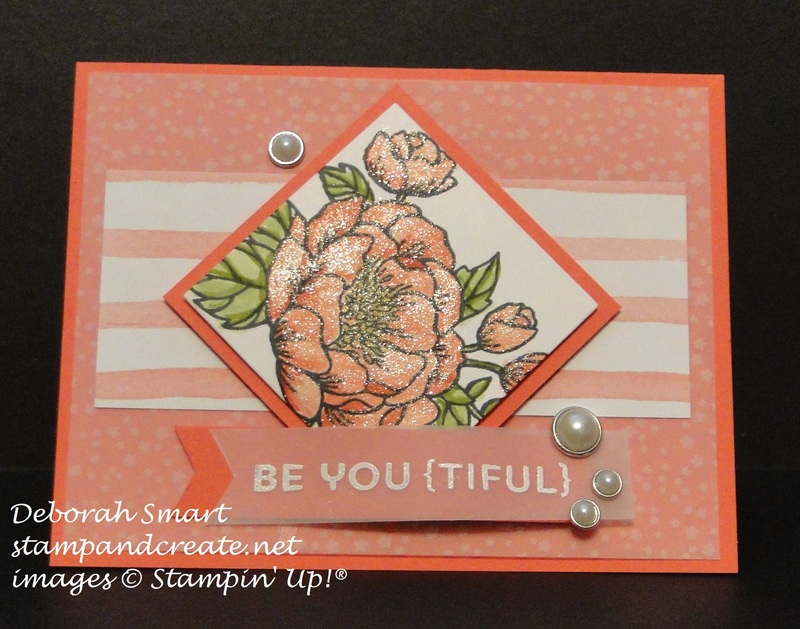 I added the sentiment across the bottom using Stampin’ Dimensionals, and then added the Metal Rimmed Pearls next to it, and to the upper left of the image. 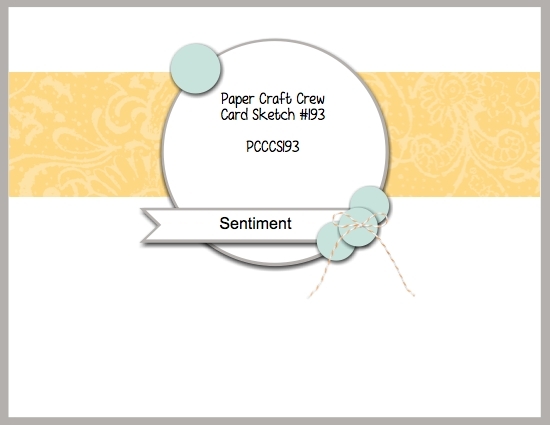 I hope that my card gave you some inspiration; please do check out the rest of the Design Team’s projects for more great ideas, on the Paper Craft Crew page. I’ll be looking for your card, so be sure to join in the challenge! Next Next post: Oh, So Busy!